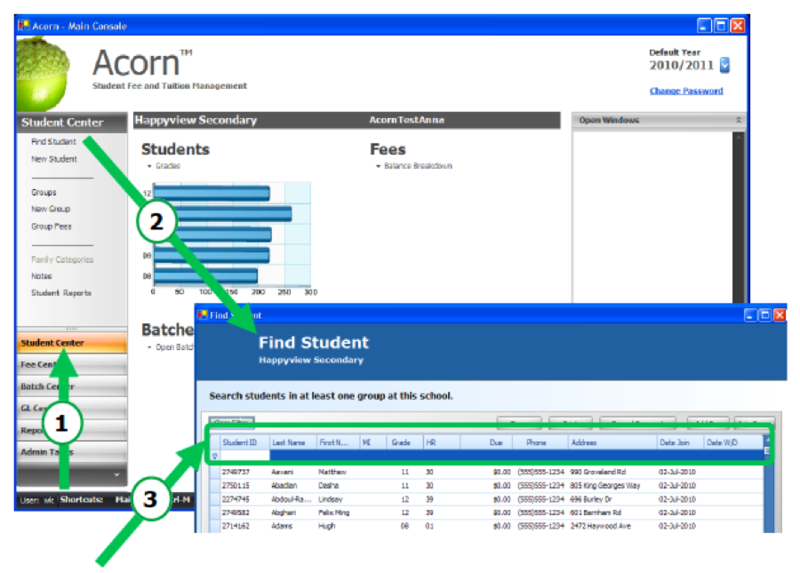 The Find Student function in Acorn locates students that were either active at sometime during the current year or who were inactive but had an overpayment or amount due at the beginning of the year. On the main Acorn screen, find the Default Year in the upper-right corner. The student’s Fees tab will display all the fees from the year that you selected.